Katherine Cook has been a licensed medical aesthetician and laser technician, certified by the Arizona Radiation Regulatory Agency, since 2010. After graduating in aesthetics and laser training at Penrose Academy and National Laser Institute, she gained employment and experience from a prestigious med spa located in the Camelback Corridor. Upon joining Arizona Dermatology in 2017, Katherine underwent a comprehensive dermatology internship under the guidance of industry renowned expert Dr. William Ko. She now applies that acquired knowledge of skin anatomy and product chemistry to treat a variety of skin disorders and concerns through customizable aesthetic approaches. In addition to being a top aesthetician in her field, Katherine also has a bachelor’s degree in psychology. The passion and influence of a psychology background has contributed to Katherine’s outstanding ability to truly listen to client’s needs. With the client’s needs in mind, Katherine then provides a successful treatment plan. 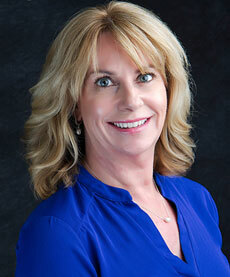 Katherine is passionate about skin care and dedicated to providing the very best in aesthetic products and procedures. Her clients greatly benefit from her broad knowledge, skills and extensive experience in chemical exfoliation, clinical skin rejuvenating, corrective treatments for pigmentation and brown spots, micro-needling, hair removal, spider vein removal and skin care products. Katherine stays current in the latest skin care research, product ingredients, laser technology, and skin rejuvenation procedures through continuing education and training to bring her clients the medical and cosmetic arsenal that improves both their appearance and self-image. With this commitment to excellence and a soothing personality, Katherine has built a large following of clients who trust and adore her.